All renters must be at least 19 years of age and possess a valid G driver’s license. The renter must provide proof of current motor vehicle insurance when renting the unit along with the trailer. 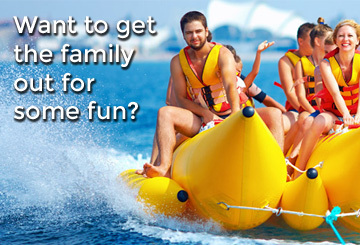 Any other participants driving the motor craft must be a minimum of 18 years of age and must be listed on the rental agreement. 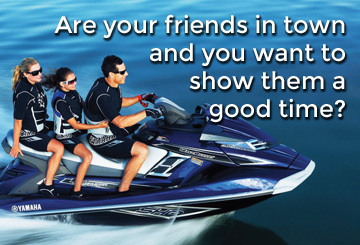 Transport Canada requires that all pleasure craft operators carry a PLEASURE CRAFT OPERATOR CARD. We recommend that you obtain one prior to renting. Temporary PLEASURE CRAFT OPERATOR CARD can be obtained at our facility. Charges may apply. Rental pick up time commences at 9 am. All rentals must be returned by end time and date stated on contract. Failure to do so may result in additional charges. 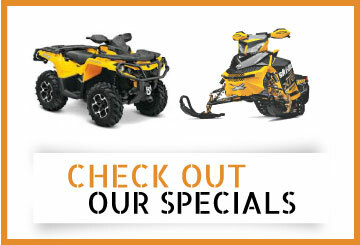 Included with your rental is all safety equipment required by Transport Canada. Every unit will undergo an inspection with an OPR employee prior and after your rental. The renter must be present at time of inspection. Renters are responsible for any and all damages sustained to rental equipment, persons, or property during rental period. A rental contract and release of liability, waiver of claims, assumption of risks and indemnity agreement must be signed by renter and a pre authorized credit card deposit of $ 1,500.00, per rental unit, is required as a damage deposit. 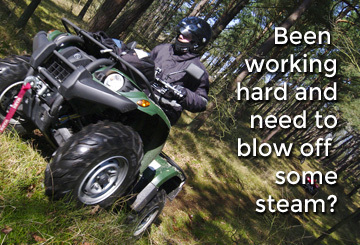 Premium machines are subject to a pre-authorized $ 2,000.00 damages/security deposit. CANCELLATIONS MADE 7 DAYS PRIOR TO RENTAL COMMENCEMENT DATE ARE ELIGIBLE FOR A FULL REFUND. CANCELLATIONS MADE BETWEEN 3 AND 6 DAYS OF RENTAL DATE WILL FORFEIT FULL RENTAL DEPOSIT. FULL PAYMENT FOR SPORTS EQUIPMENT IS DUE 48 HOURS PRIOR TO RENTAL DATE. CANCELLATIONS MADE 48 HOURS OR LESS WILL BE CHARGED FOR FULL RENTAL AMOUNT. NO SHOWS ARE CHARGED IN FULL FOR THE RENTAL PERIOD RESERVED AND THE CONTRACT WILL BE TERMINATED AFTER 3 HOURS FROM THE PICK UP SCHEDULED TIME. WE RESERVE THE RIGHT TO CANCEL/RESCHEDULE RESERVATIONS AT ANY TIME FOR POLICY VIOLATIONS AND/OR TO ENSURE PERSONAL SAFETY. 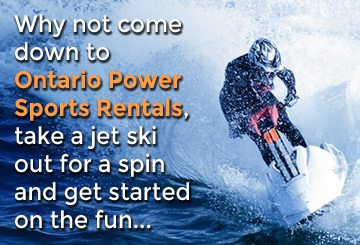 ONTARIO POWERSPORTS DOES NOT OFFER REFUNDS FOR INCLEMENT WEATHER.